OASIS for Hair - Testimonials. 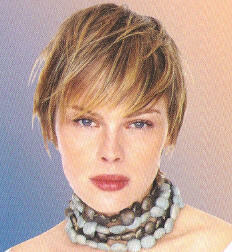 At OASIS for Hair we constantly strive to ensure you get the most professional hair care available. We welcome customer feedback, and believe our service is only as good as it is because we listen to what people say about us. We're not perfect, but we always strive to be! 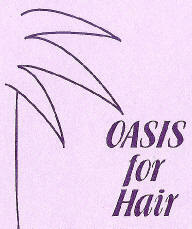 Here are some of the things people have said about OASIS for Hair. If you have something to say about your OASIS for Hair experience simply fill in our online 'Feedback Form', Email us or call 902) 6288 1535. I work all week so have little time for a long hair visit. The staff at "OASIS for Hair" are fantastic. I simply let them know I'm on a lunch break when I make my appointment and they always ensure I'm back at work, looking fantastic, in ample time - Cathy, Civic, ACT. Ok, I'm a guy but I do like to look my best. I go to "OASIS for Hair" because they don't treat me like some of those 'cut and run' hair factories where your in and out in 5 minutes!! The friendly staff cut and style my hair to perfection every time and, because they use American Crew styling waxes, my new cut stays looking fantastic between cuts. They are great! - David, Gungahlin, ACT. I'm in my 70's so I like to do things at my own pace. I have been going to "OASIS for Hair" for 11 years now. They make me feel like I'm flying first class!! They always have a fresh cup of coffee ready for me and they take their time to make me look and feel fantastic. The staff are so friendly and they are always happy to chat - they feel like part of my family!!! - Mia, Ainslie ACT. I had to come to Canberra for an interview with a leading IT firm. I was going to get a haircut somewhere in Canberra, but decided to try "OASIS for Hair" as I was staying at the Rydges Hotel. I'm glad I did! The service was great, the staff were really friendly and the haircut made me look like a million dollars (thankfully, it cost much less than that!!). I was very happy. Oh, and I got the job too!!! - Dean, Sydney. I'm getting married in 2009. I'm planning to get "OASIS for Hair" to do the hair for the wedding for not only me and my bridesmaids, but mum and dad too. I might even get my groom to call in! - Sharon, Canberra. I couldn't recommend "OASIS for Hair" enough! Laura is the friendliest hairdresser I have ever known - she makes me feel part of the family! If you don't get the best haircut you've ever had I would be very surprised - "OASIS for Hair" is fantastic! - Danielle, Queanbeyan (NSW). Thank you for 'looking after me' for the past 7 years or so. You are always so happy and friendly and I'll miss you all. - Debra, Canberra. Thank you for 'looking after me' throughout 2007. Wishing you all a great Christmas and New Year. - Agnes, Canberra.